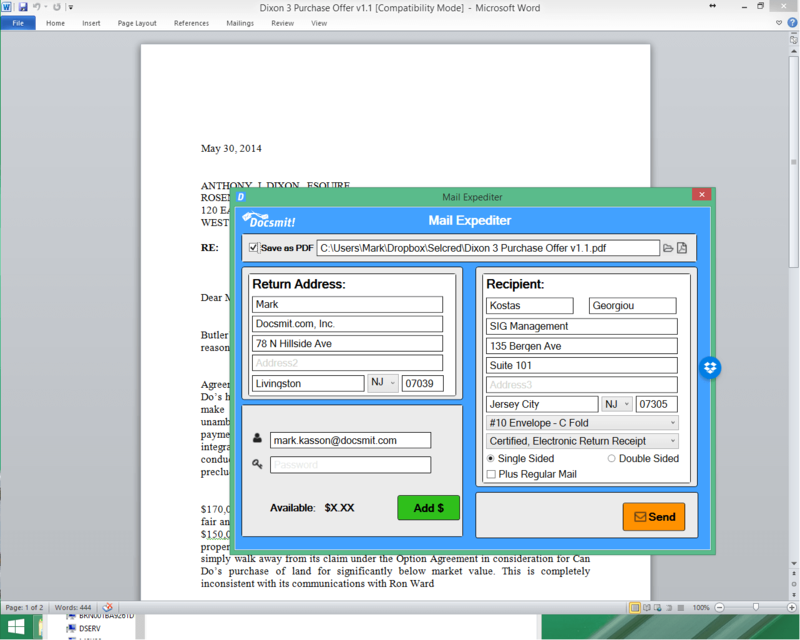 Our Desktop Windows app lets you mail any PDF file from your desktop. Drag and drop onto our app, even pull recipients from Outlook, and click to send. Drag and drop to load multiple PDF files. 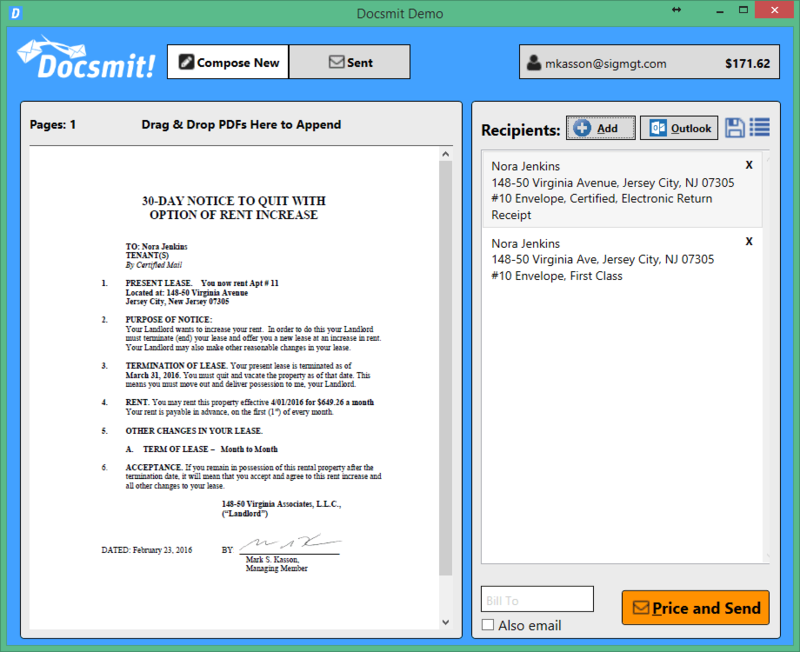 Save mailed document to PDF. Automatically validate address to avoid waste. Enter BillTo code to allocate cost. With our Word Addin you can send mail straight from Word. Access Outlook contacts for addresses.